Happy New Years Eve! We are still in South Carolina until tomorrow but I did want to share a fun, festive outfit that I wore last weekend. I haven't shared as many outfit posts here on the blog this year but I'm hoping to get back into it in 2019. To be honest, I overextended myself and just didn't make time for blogging the last few months. I have a terrible tendency of always just saying yes to commitments without thinking through them, especially when it comes to volunteering. I just want to be able to do it all! But in reality, I just can't, no one can. So, here's to saying no when I need to and yes when I want to. I really love a new year and a fresh beginning! I also want to start sharing more outfits to share you how on a regular basis, I do a lot of rewear. I'm not a style blogger who buys new things daily. I always try to make thoughtful purchases and invest in pieces that I know I'll get a lot of use out of (like bags, denim, and shoes). I never purchase every single thing I share with y'all, I would never expect any of you to do that either. 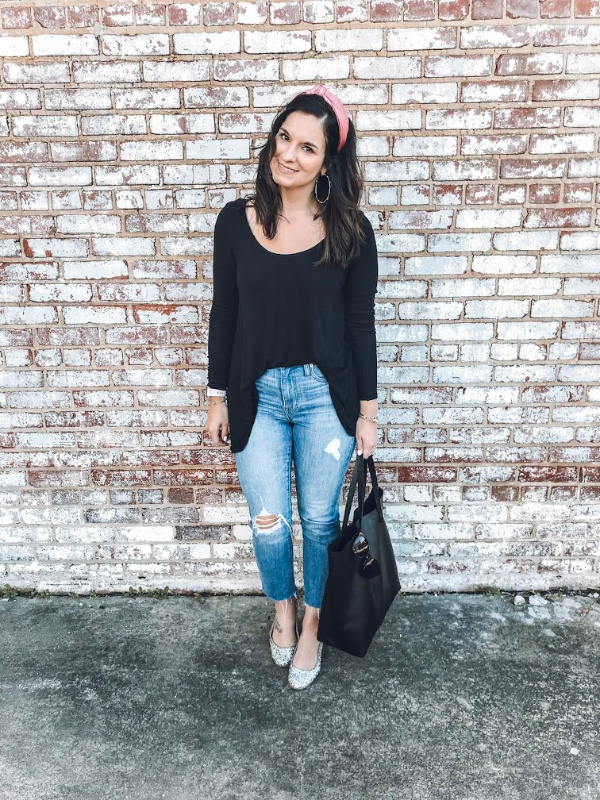 I just want to be a resource for other busy moms and help them find items that make them feel great and look put together! It's completely okay to rewear and remix the items you love in your closet. When I scaled down my closet this year, I pretty much just stuck with neutrals (and pink). I found that I was able to make so many outfits with a neutral wardrobe because everything mixes and matches. 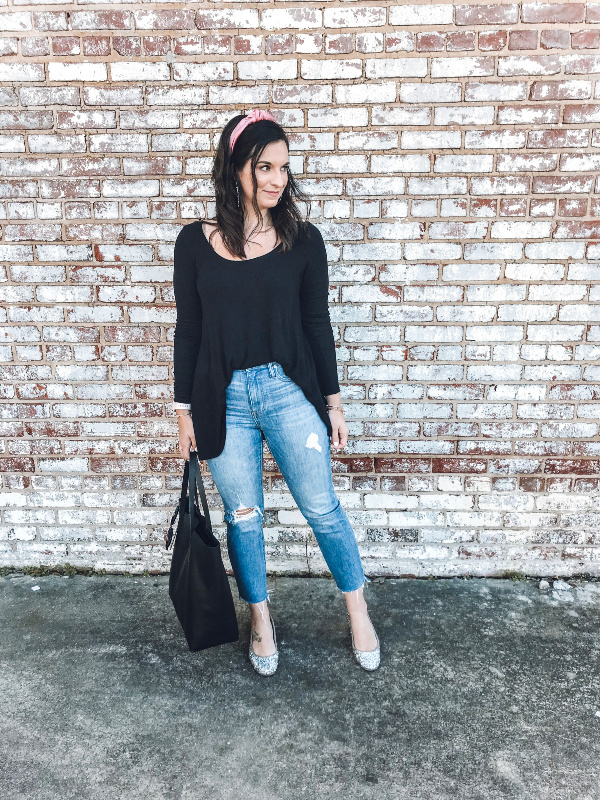 I invest in staple pieces but I often find budget friendly accessories like this headband and heels to give my look some character, without overspending on pieces that are trendy or seasonal. 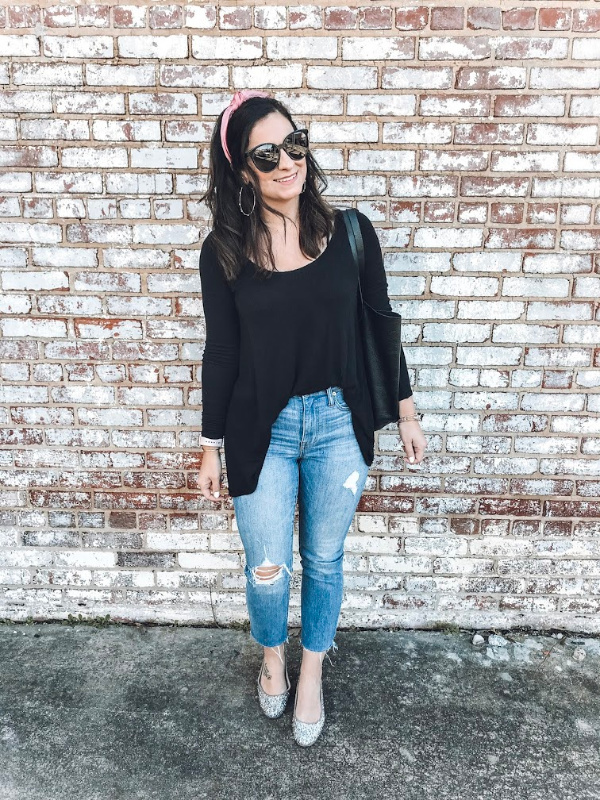 I have literally worn the headband almost everyday since I got it (such a fun pop of color) and the heels have my been my go-to shoe this holiday season! I paired these pieces with my favorite denim, black tote, hoop earrings, and a black tunic. I love how this look came together! Happy Friday! My husband and I are planning to head into Charleston to do some exploring today for a day date. I am hoping that the rain holds off for us! But, even if it doesn't, we are still planning to make the best of it and try out some new food places. We are both foodies! My father-in-law actually lives outside of Charleston but this will be the first time that my husband and I have explored downtown on our own. Please let me know if you have any favorite spots that you think we need to check out while we are there! Today, I'm sharing my weekly roundup of what I'm currently loving. So many of this week's picks are on major sale! Woo hoo! I love finding great pieces for great prices. 1. E A R R I N G S | This gorgeous earrings are one of my favorites and they are currently on sale making them about $6! Such a great price! 2. 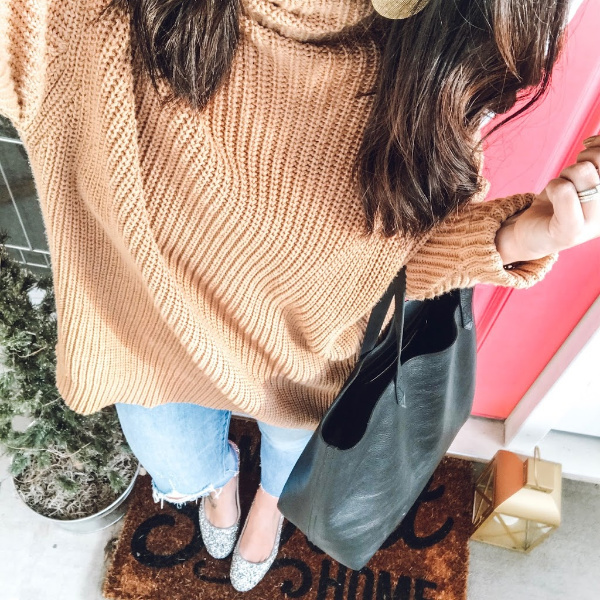 S W E A T S H I R T | I live in leggings and oversized sweatshirts this time of year. I love the turtleneck style of this one! This one fits true to size. 3. B O W | This adorable bow is currently on sale, too. It would add such a pretty finishing touch to a ponytail or bun! 4. S H I R T | You just can't go wrong with stripes! I love the style of this basic long sleeve shirt. Neutral stripes are always a closet staple. 5. J E A N S | I have these jeans, just in a different wash. They are my absolute favorite! They do run big. If you prefer a little more fitted style, size down two sizes. If you want a relaxed fit, size down one size from your normal size. I'm ordering this pair (on sale) asap! 6. H E A D B A N D | I bought this headband last Friday in store and I have worn it four times since I got it. It's too cute and it's only $10! 7. C A R D I G A N | I am currently missing a black cardigan in my closet so I found this one great budget friendly one while I was hunting for one. 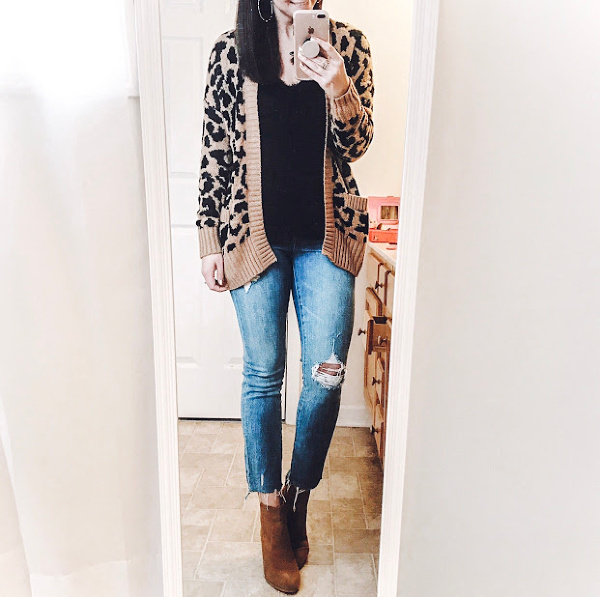 I always sized up one size in my cardigans for a comfy, relaxed fit for layering. 8. H E E L S | These heels are so classy! I love the color (would literally go with everything) and the style of the heel. Such a great pair of heels that will last. Timeless quality for sure and on sale! Hey y'all! I hope you had a wonderful Christmas, full of love and joy! We celebrated with our local family on Christmas Eve and Christmas Day and now we are in South Carolina, celebrating with Josh's dad. We road tripped here yesterday and I literally broke a tooth on a Tic Tac! Of all things to break a tooth on, my favorite little mint. I also have a sinus infection to top it all off! No fun... but I'm headed to get my prescription and some Starbucks soon so hopefully that will be the fix. 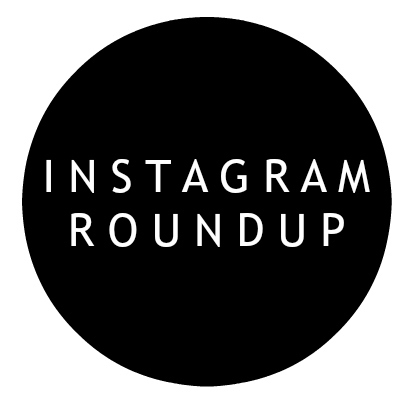 Today, I'm sharing my weekly Instagram Roundup of outfits and photos from Instagram this past week. 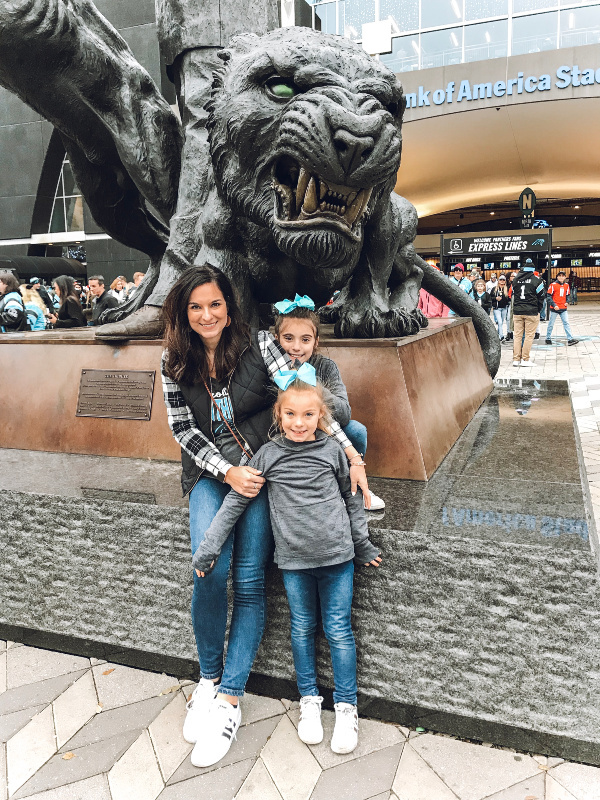 We had such a fun weekend, including taking the girls to their first Carolina Panthers game! In the past month, I have had so much fun mixing and matching items that were already in my closet instead of buying new things. I have really put my glitter heels to good use! 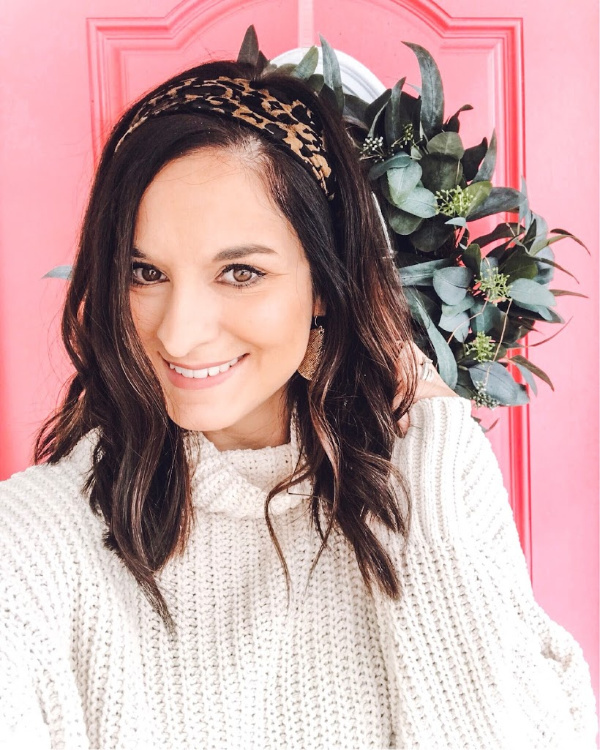 I am currently loving head bands and hair accessories! I found this cute velvet leopard head band a Walmart for $4. I love it! Neutrals on neutrals! My closet is mostly filled with neutral pieces but it makes creating outfits so much easier because everything works together. My sweet girls! I did a capsule wardrobe for them for fall and winter. I've also had so much fun creating new outfits for them with the pieces in their capsule! To make this outfit look less farmer chic, I threw on my favorite cozy cardigan and sparkly hoop earrings. 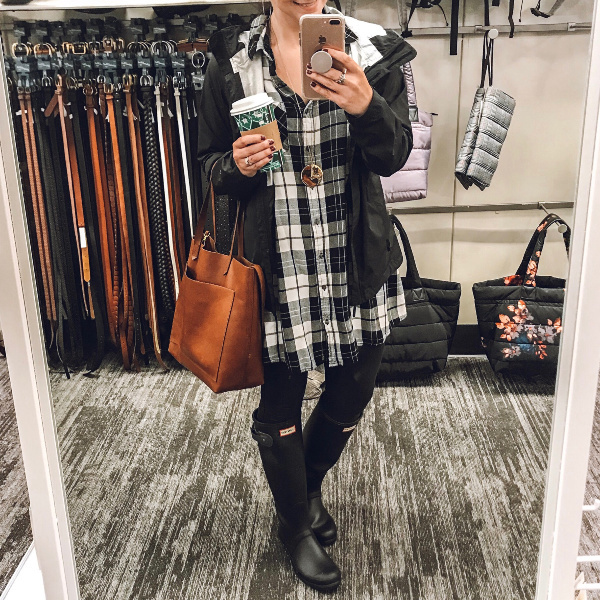 Hunter boots are one of my favorite investment pieces! 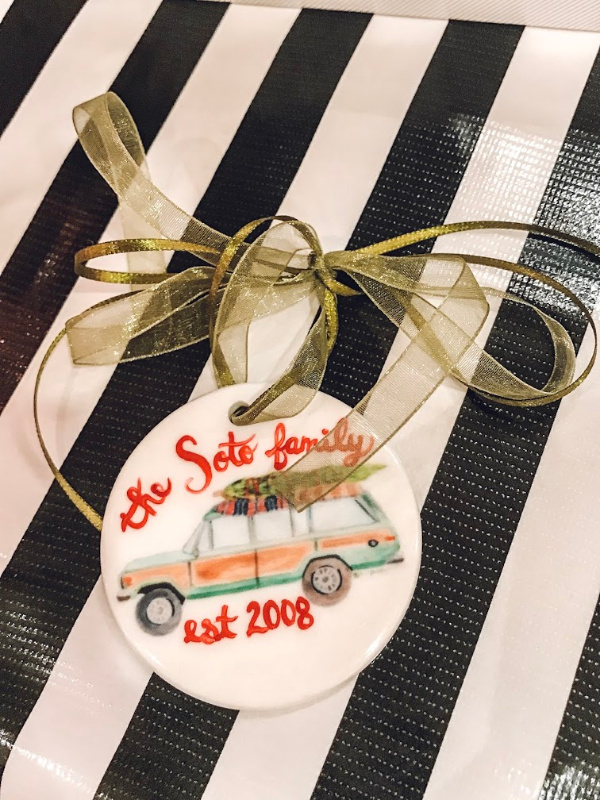 My sweet friend Nikki from The Preppy Possum customized this beautiful ornament for us at her most recent J. Crew Pop Up event last week. She's so talented! I have definitely gotten my money worth out of this sweater! I literally wear it once (or twice) a week. It also comes in two other colors! We showed our Panther pride at the game on Sunday! The girls didn't have any Panthers gear but they dressed in the appropriate colors and the perfect blue hair bow. 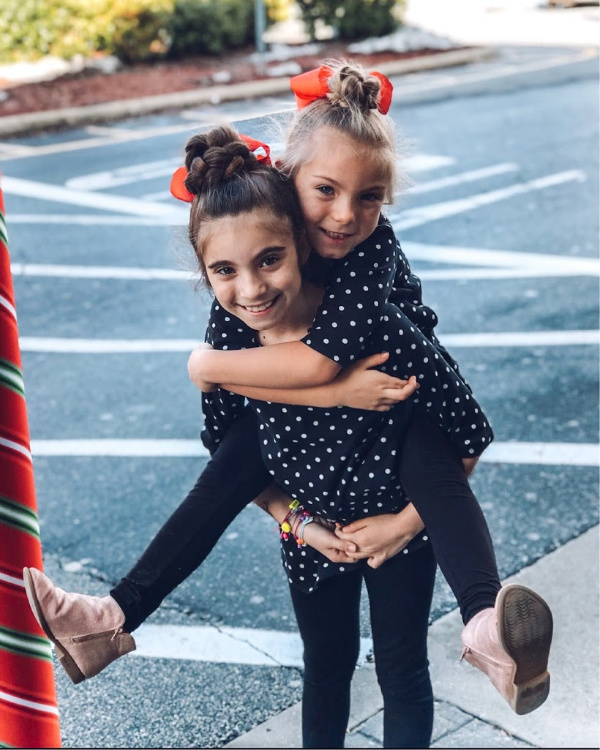 These Amazon hair bows add the perfect pop of color to match any occasion! Happy Friday! My kid are officially on Christmas break from school as of today and my husband and I are already off work until the beginning of 2019. I'm looking forward to lots of family time, food, and Christmas adventures! 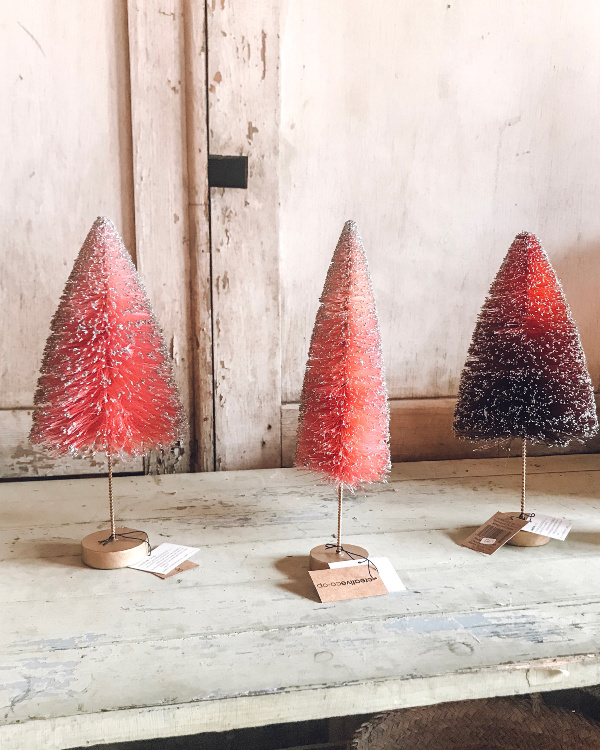 We are planning to go check out our favorite festive neighborhood tonight in Greensboro. They always have the best lights! Today, I"m sharing my weekly roundup of what I'm currently loving. I guess I was really loving the color black this week! Which of this week's picks is your favorite?! 1. N E C K L A C E | I am currently loving dainty coin necklaces and I love the simplicity of this one. It has a cute flower pattern on it. I love it! 2. S W E A T S H I R T | This might be my personal favorite this week because this sweatshirt looks so cozy plus it's also leggings friendly! 3. 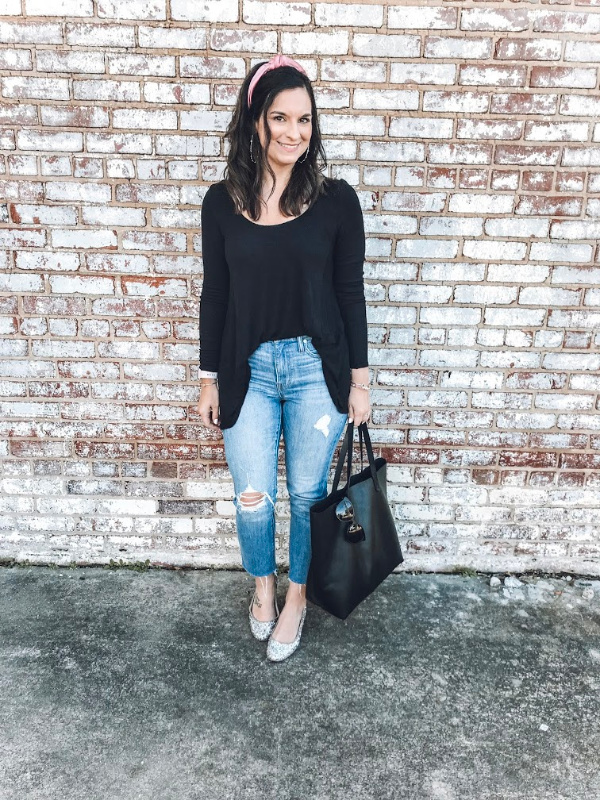 J E A N S | I wasn't so sure about these jeans when I first saw them online but I've seen a couple of my favorite bloggers share so many great ways to style them and they've sold me! You just can't go wrong with denim from Madewell! 4. 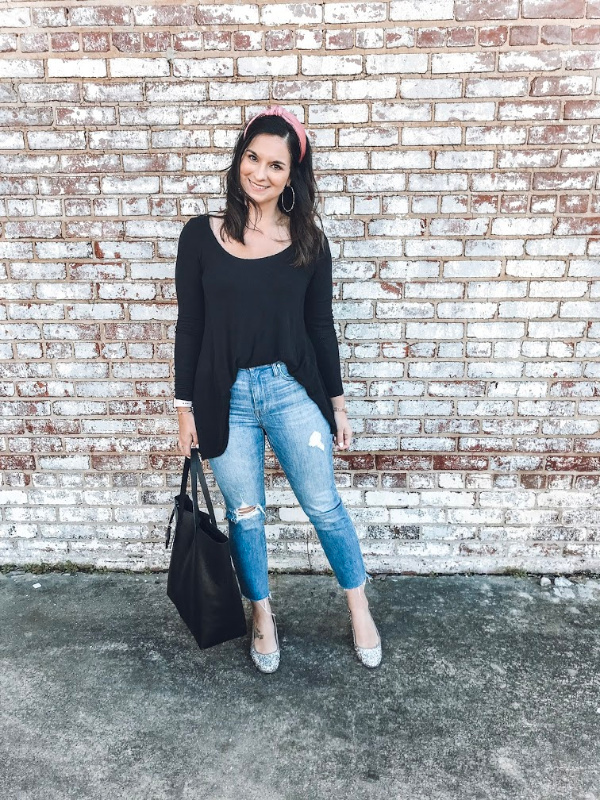 C A M I | I love adding a little sparkle to my look for New Years but my overall style is pretty casual so I thought this cami would be super cute underneath a comfy cardigan to look festive and put together yet still cozy (which is very important to me). 5. 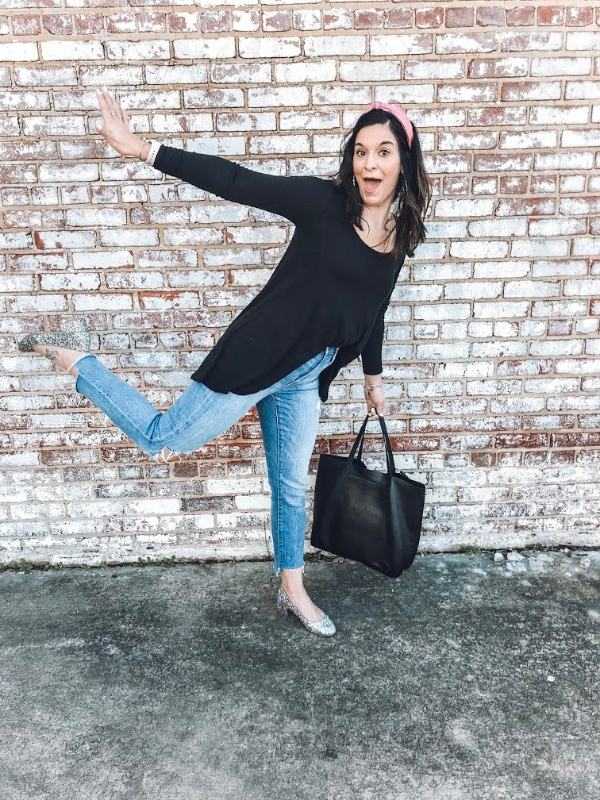 H A T | How cute is this hat?! The leopard print is perfect! 6. 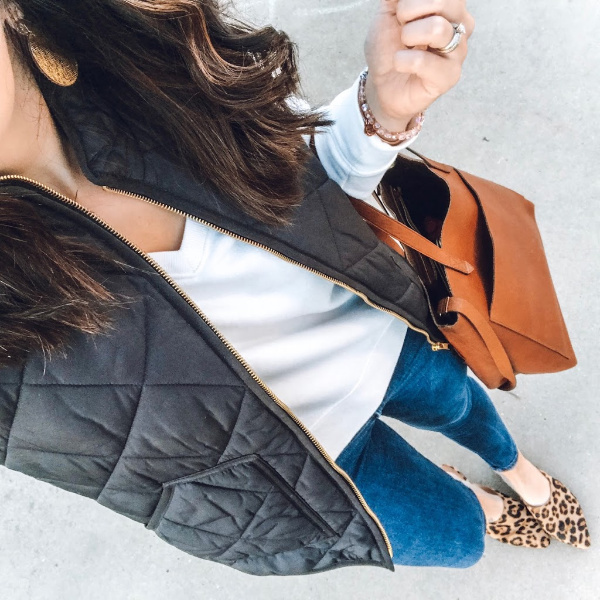 J A C K E T | I absolutely love this jacket! It's such a great statement piece. I would personally style it with a white or black tee and jeans for a casual look. 7. E A R R I N G S | I've owned these earrings since June and they are the best lightweight large hoop earrings. Plus, they are under $8! 8. S H O E S | I really need a new pair of shoes for the gym and I am really loving the black and gold combination on this pair. So cute! Thank so much for visiting! I hope you have a great weekend and a Merry Christmas! Hey y'all! I've been missing in action here on the blog because life has been so busy! I squeezed four days of work into three and have gotten home late every evening this week. Tis the season! 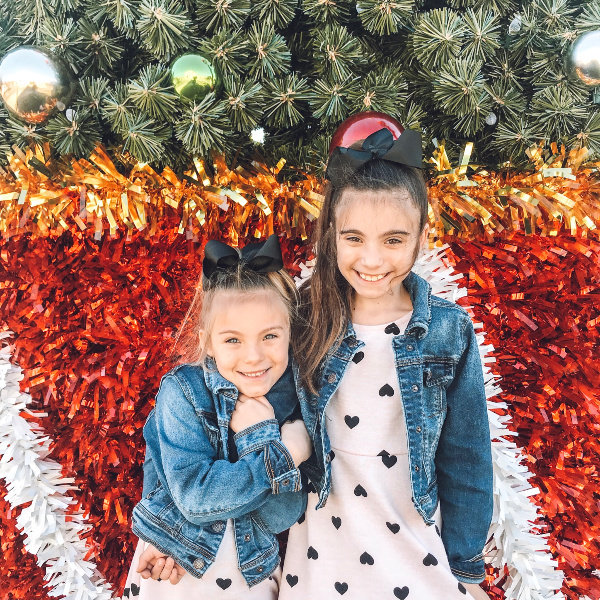 Today, I'm sharing my weekly Instagram Roundup, including some outfits and family photos. I have a "squeeze in before Christmas" list on my phone and I'm hoping to check a few more things off of that list. 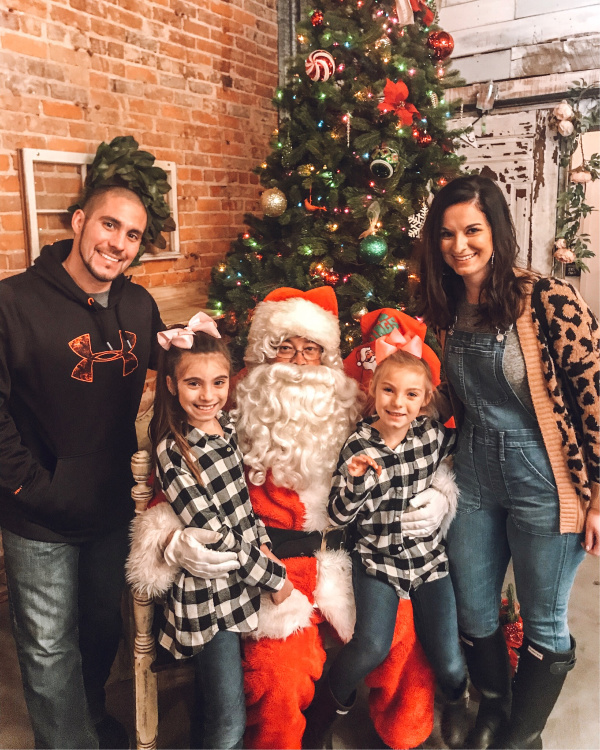 Last weekend, we accomplished three of those things by having cookies with Santa, shopping at The Table pop up market, and decorating a gingerbread house as a family! We need more family photos! A lady offered to snap a picture of our family together and I almost said no. I need to start say yes to more pictures with my favorites! Rainy days are always better with a visit to Target. Or a Gilmore Girls marathon on the couch. These sweet girls love each other so much and get along... 80% of the time. 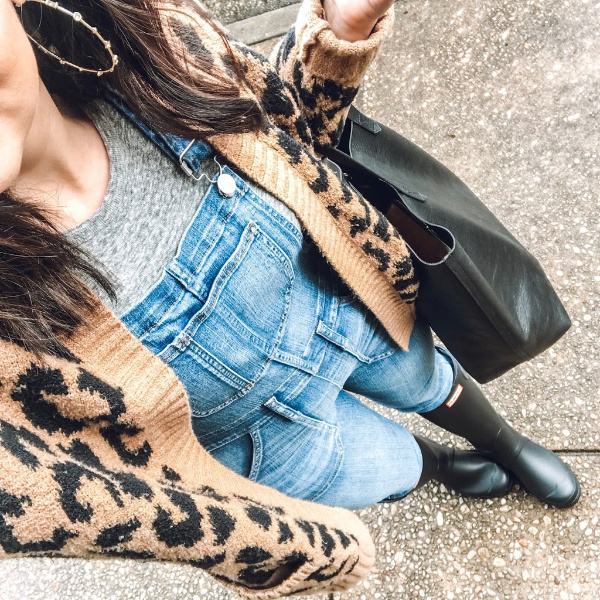 Leopard is my favorite neutral! This cardigan has been one of my most worn items this fall. Christmas party outfit when you don't own (or like) the color red. 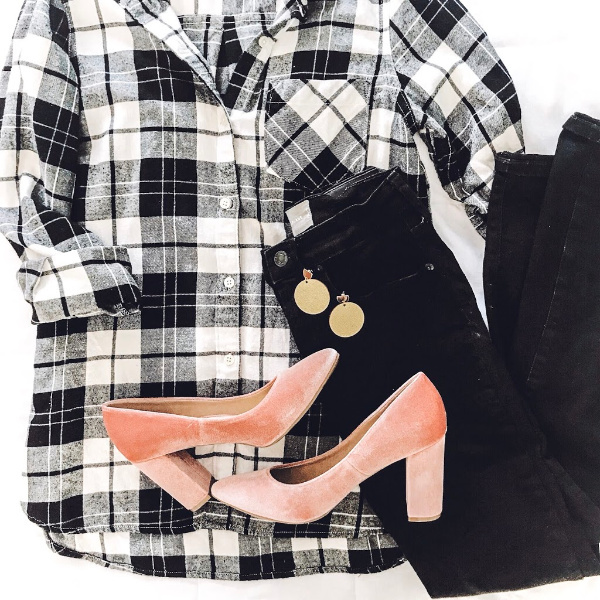 Plaid, gold, and pink!